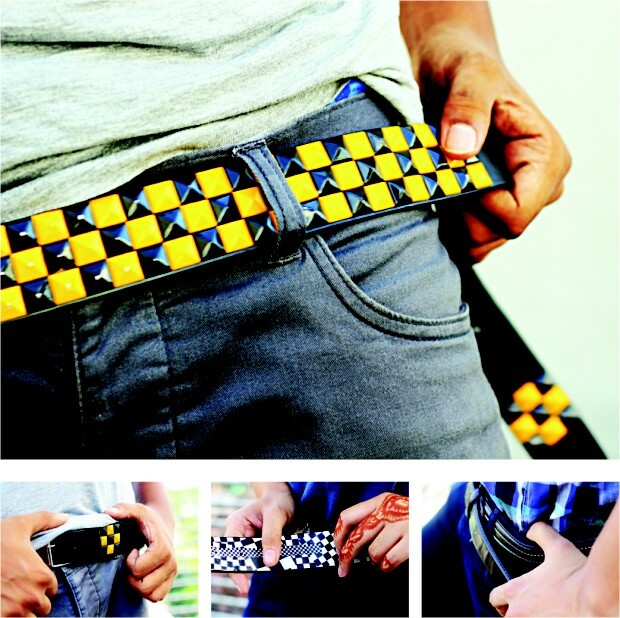 Belts: Spruce up your Get up! The idea of belts has always been there for centuries. With time, people started living in the world of fashion where using ropes to tighten clothing just seemed weird. That is when cotton or mostly leather made "belts" were started being used. And now, the faces of belts have changed from simple casual black to spunky graffitis with various colours and what not! Belts are needed in our day to day life to make sure that our pants do not come off all of a sudden. While doing so, who wouldn't mind wearing a belt which could look cool and grab others' attention? And thank God for belts or else the "baggy pant" trend would not have been there in the first place. Now, belt buckles are becoming the latest accessory, and they come in all shapes, sizes, designs, and materials. They come in many themes that are sure to capture the hearts of many young people, regardless of personality or gender. Whether one is a rock star, goth, punk, or sports fan, they are sure to love using these buckles in order to make a statement about their personality or likings. Even for people who are die hard fans of bands like Metallica or Slipknot, they will also find belts with their favourite bands' names branded on their belt buckles. As necessary as it can get with accessorising, belts should definitely be on top of your list if you are a fashion fanatic. Start right now with buying your new favourite belt from one of the stores mentioned here. Get dressed for some shopping and don't forget to wear your belt!